This recipe is nice and light. The coconut adds additional creaminess to the lemon. 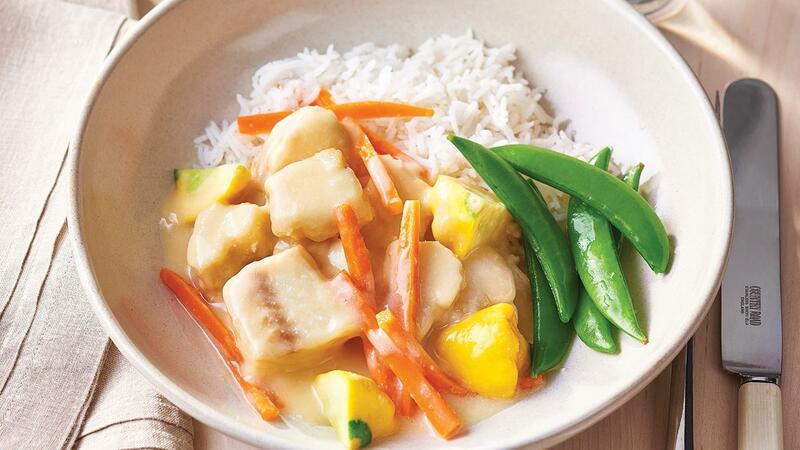 Combine the KNORR Coconut milk powder and water together, add the KNORR Chinese Lemon Sauce GF. Dice the fish, add the sauce mix and squash. Place in a large baking pan and cook in the oven at 180 degree Celsius for 25 minutes. Serve with steamed rice, steamed snow peas and sugar snap.